Space and place have a contested narrative in the history of philosophy and the Humanities. In order to be able to appreciate the work of the present volume, one needs to understand the distinction. The introduction gives a brief recap of that philosophical history, chiefly through the work of Edward Casey, but also in the work of other critics and philosophers for whom ‘place’ has made something of a comeback. With the emphasis on place and the poetics of representation, the focus is very much on a series of singular locations in Scotland, in order to understand not only how the idea of Scotland and place in Scotland differ in experience and perception from other parts of the British Isles, but also how every place is singular. 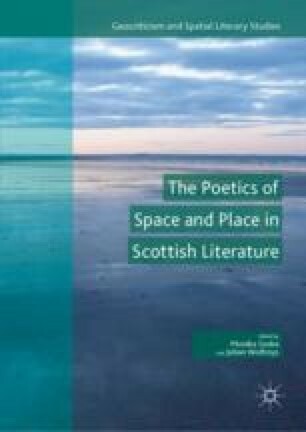 The question posed is: what is Scottish about Scottish places, and how can the idea of Scotland be understood and represented, chiefly in literature but also in other arts, when difference is more significant than similarity? Working from Casey, then Kant through Husserl to the present day, the introduction situates the name and idea of Scotland as what Jean-Luc Nancy calls a singular-plural.